ED559's mission was to drop four sea mines in the Gironde Estuary in western France. This waterway was the main route to Bordeaux and was heavily used by the Germans. These minelaying sorties were called 'gardening ops' because the bombers 'sowed' their mines. The target area was code-named DEODARS (a species of cedar tree). At coast line of occupied Europe was split into code-names based on vegetation. The Gironde estuary was regularly visited by photo reconnaissance aircraft. This allowed the RAF to create a comprehensive picture of shipping activities along the estuary. Any Axis ship (blockade-runner or raider) was recorded and the info passed to the Admiralty. The ships would then run the gauntlet of Royal Navy and USN ships in the Bay of Biscay. Coastal Command aircraft would also be sent to attack ships. Ships often returned to Bordeaux if they considered they had been spotted by aircraft whilst steaming out of the Gironde. The first sorties to drop sea mines was undertaken by the RAF off Brest, Lorient and Saint Nazaire in April 1941. This aimed to counter the threat posed by the potential arrival of the Kriegsmarine's battleships. The mouth of the Gironde estuary was also mined. 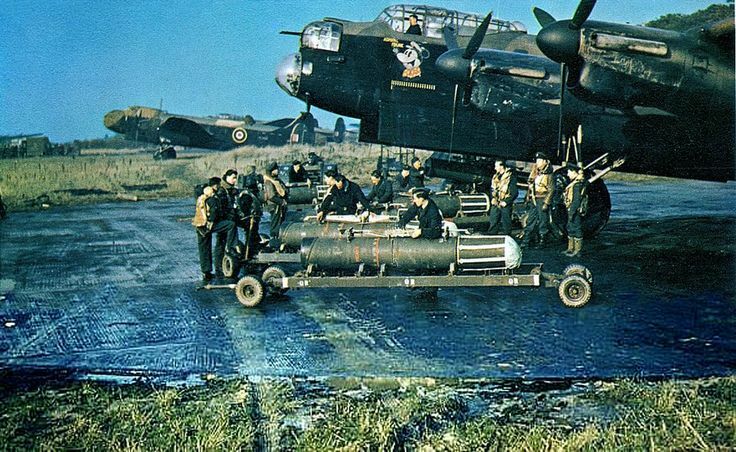 On March 7, 1942, Bomber Command sent 17 aircraft on a mine-laying operation. 17 more were sent on March 23 and again on March 25. Further mine-laying was repeated twice in April (total 45 aircraft) and once in May (48 aircraft). Seven operations involving 210 aircraft followed in June and July of 1942. A number of sorties were detailed to drop mines in the Gironde estuary. Further raids drops mines in October and November and operations continued at the start of 1943. The impacts of this minelaying were however somewhat limited. Little difference was made to the ability of the Germans to access Bordeaux. The Germans were able to rapidly sweep the narrow navigable channel for mines. But with further operations, the German minesweepers were having to do sweeps on a daily basis. Not officially deemed a 'Main Force' operation, the mining sortie was recorded as a minor one. Eight Lancasters from 100 Squadron were detailed for the operation. These were ED559 (JA-D), ED609 (JA-J), ED 549 (JA-S) and ED 583(JA-U) plus JA-V, JA-Y, JA-A and JA-H. In addition six Mosquitoes attacked targets in the Ruhr. 27 bombers were sent to mine the coastal waters from Bayonne in the south of France to the Baltic coast near Gydnia in northern Poland. The operation briefing was attended by Group Captain Hughie Edwards VC from RAF Binbrook. Visitors from Group HQ including Group Captain Hugh Constantine, Squadron Leader Lindo and Flight Lieutenant Wetherby also attended. Eight crews from 100 Squadron at Waltham were selected with Squadron Leader Barker the first to take off from runway 01 at 18.27 hours. The final Lancaster of Sergeant Overton left Waltham at 19.00 hours. Each crew was to target a different location and drop four sea mines. ED559 was allocated to dispersal pad 27 and armed with four 1,500 lb. sea mines and 1,850 gallons of fuel. The Lancaster departed from Waltham at 18.38 hours. 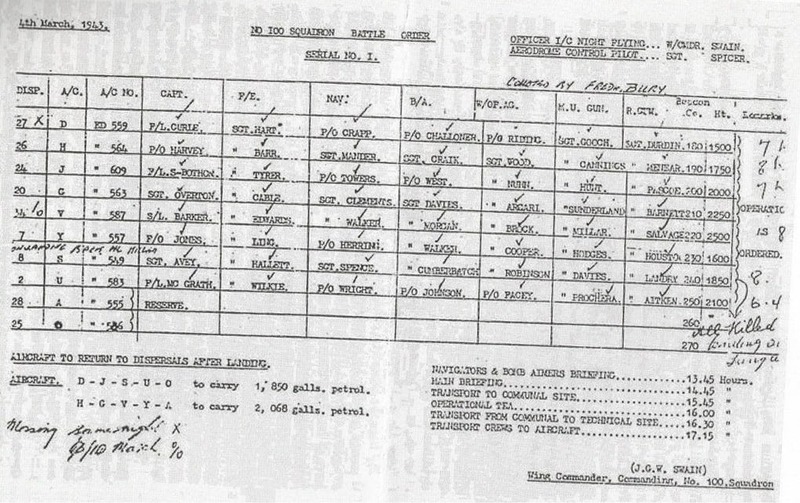 A letter written by Wing Commander Swain in the Australian National Archives details ED559's route. This takes the aircraft over Normandy and down through France to cross over the Gironde Estuary. From there the bomber was to head home via the lighthouse on Cordouan Island. ED559 was carrying four sea mines to be dropped during one bombing run. The bomber would fly a predetermined bomb run at approximately 800 feet. The bomb aimer would release the mines into the estuary one after the other. The Gironde Estuary was strategically important as it led directly to the inland port of Bordeaux. Shipping traffic was high and the laying of mines was an important target for the RAF. Munitions, spares and other vital materials were shipped via Bordeaux to the U-boat bases along the French coast as well as further afield. The aim of mining was to sink German shipping or cause delays as the estuary was swept by minesweepers. According to reports from other aircraft the area was covered by searchlights and numerous anti-aircraft flak batteries placed in the vicinity of the mouth of the estuary. There was little moonlight during the operation. Thursday 4th March 1943 was an old moon night with the new moon appearing on Saturday 6th March, 1943. 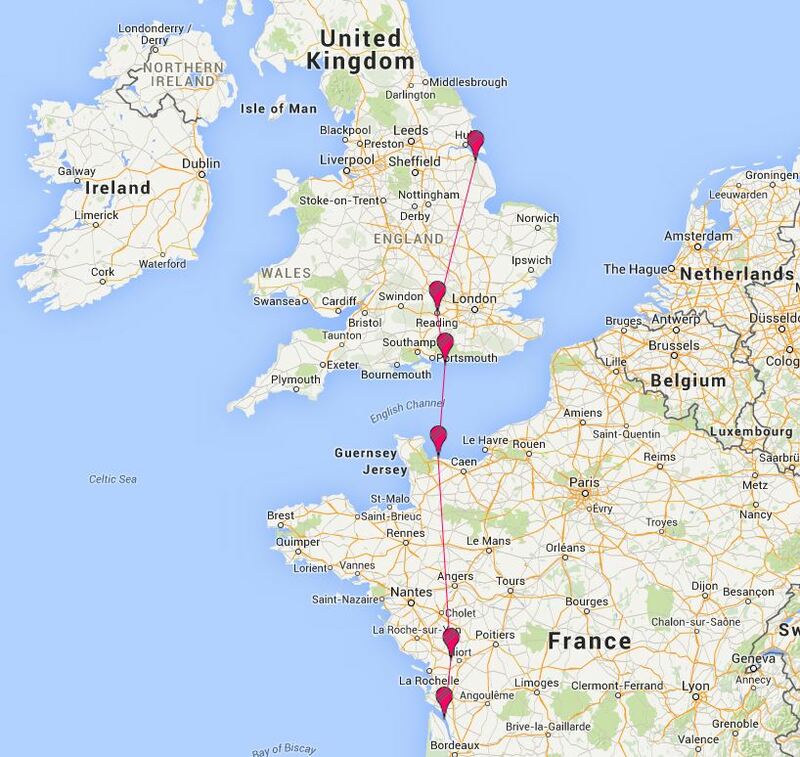 Using the route detailed in a letter from Wing Commander Swain, ED559 was to fly a course to a point 45 25N 00 50W. This way point is the middle of the Gironde Estuary, close to the coastal town of Valeyrac, approximately 567 miles (913 km) from Waltham. Weather experienced during the minelaying operations. 23 of the 27 bombers sent laid their mines in the primary area. 80 mines in total dropped. One aircraft returned to base due to technical issues. One bomber was unable to drop mines due to weather. One Lancaster crashed on returning to Britain in poor weather. ​One Lancaster (ED559) listed as missing.